It’s a mark of respect, this business of obsessively listening to our musical idols’ songs in the days after they pass, but also a ritual of mourning. We listen to remember—mourning the artist through their creations—but also to remind ourselves of the inescapable march of time—mourning not just the loss of the artist’s voice, but of the years that have brought us, too, that many steps closer to the great beyond. Tom Petty was a dozen years older than me, but the gap never seemed wide, maybe because I have a brother born the same year as TP (1950), but also because his songs always spoke to me in an unassuming yet profound way. Petty’s best songs feel timeless, as if they had always been there waiting and he just happened to possess the proper magic to pluck them from the ether and bring them into the world, lending them weight and dimension. And if the songs were timeless, surely he must be, too. Right? But no. 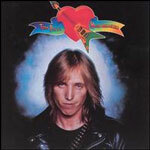 Tom Petty left us in much the same way he burst onto the music scene 41 years ago—suddenly, with a certain unpredictable flair, an arrow piercing our collective hearts in much the same way the guitar pierces the heart on his supremely talented band’s famous logo. 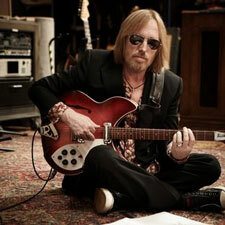 Petty pursued that feeling for the rest of his life, channeling his energies into the one thing that always made him feel free: writing songs. 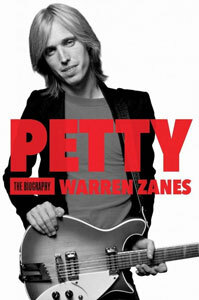 Songs that could feel simple in their sturdy classicist structures—Petty was a voracious listener to and student of his musical predecessors—but were anything but, full of novelistic details and deftly textured characters, told in an Everyman voice that instinctively knew how to draw an audience into the world he was busy sketching. It was a world grounded in subtleties but animated by Petty’s ferociously honest approach to whatever subject he chose to tackle, from the smallest character sketches to the biggest questions life asks. I heard “Listen To Her Heart” for the first time when I was 15, and “Here Comes My Girl” for the first time when I was 17. They helped crystallize ideas about what love is and means that I’ve carried with me ever since: fierce, warm, loyal, urgent, forever. Built from small moments and simple truths, yet at distinct moments, genuinely epic in scale. In his art, Petty went straight at those core elements of what it means to be human—highs and lows, love and loss, dreams and schemes—without the slightest pretension of being more than what he was, a headstrong, determined kid from Gainesville, Florida using the only tools he possessed to try to make his way through the world: guitar and pen. That he succeeded so well without losing track of himself is a kind of miracle. Many falter or crumble under the spotlight; Petty simply ignored it and went about his business. He encountered moments of chaos in both personal and professional spheres along the way, yes, but he never allowed the chaos to define him. Tom Petty defined himself, at times seemingly through sheer force of will. In the end we’re left with the songs: “Breakdown,” “American Girl,” “I Need to Know,” “Even the Losers,” “The Waiting,” “Free Fallin’,” “I Won’t Back Down,” “Runnin’ Down a Dream,” “Learning to Fly,” “Mary Jane’s Last Dance,” “Wildflowers,” “You Wreck Me,” “Room at the Top,” “Fault Lines” and the list goes on and on and on, a dizzying tally that includes 16 studio albums and a pair of bonus-track-studded anthologies. If the moment we’re living through now feels surreal, it’s because it’s so hard—after all these years, all these songs, and all the memories they’ve attached themselves to—to imagine a world without Tom Petty in it. Interesting, but — now that I’ve looked up “bricoleur” — I have to disagree with your initial contention. 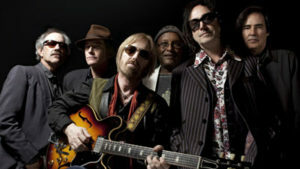 I think Petty will be remembered 25 years from now and beyond as one of the top-tier classic rock craftsmen, alongside the Springsteens and Segers.